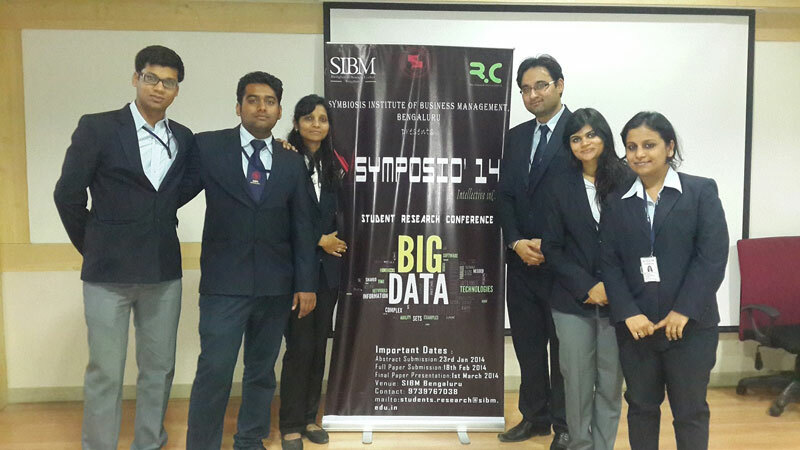 Buzz at SIBM Bengaluru: SIBM Bengaluru hosted theNational Level Student Conference "Symposio 2014"
Big Data is the next frontier for innovation, competition, and productivity. Management in recent times is buzzing with Big Data analytics to transform data to knowledge and information to drive their business to success; “Symposio 2014” attempts to capture the spirit of Big Data and analytics through stimulating discussions to scrutinize application of analytics in the four pillars of management vis-à-vis Finance, Marketing, Human Resources and Operations through white paper presentations and seminars by imminent speakers in the domain. 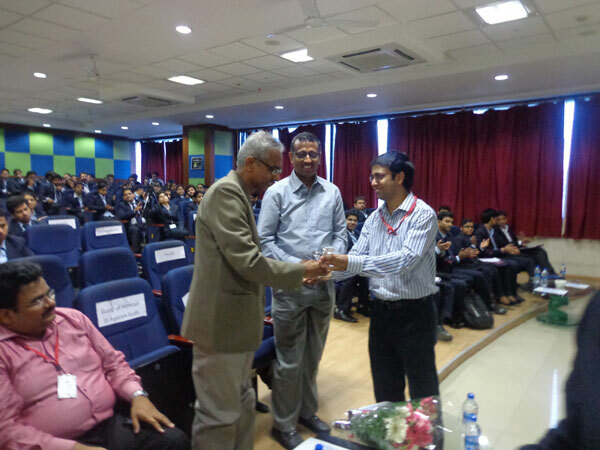 Dr. Rajesh Panda, Director SIBM-B, conceptualized the event. He felt that there was a dire need for the students to dip their foot into the field of research as there were ample seminars and conferences held across the nation but none to promote research. To mark this event a grand success we had speakers who have excelled in the field of analytics and Big Data. 1) Dr. Raghava Rau – Co-founder and CEO of Big Data Analytics India Pvt. Ltd., his current area of research and interests are in Machine Learning in the context of Big Data Analytics. He gave a brief insight on data analytics and enlightened the students on the current source and applications of Big Data e.g. : patterns in consumer insights in order to take better decisions. 2) Dr. RajaramKudli – analytics Education and innovation Evangelist, Prajnan enterprises, he has served as a referee on the panel of IEEE transactions on systems, MAN AND CYBERNETICS. He mentioned that the real competencies lie outside classrooms and an individual should be inquisitive and arrive at an actual intelligent answer to solve today’s pressing problems. He quoted Sabeer Bhatia’s incredible journey. The aim of this committee is to encourage people to come out in the open and express their opinion and help the students gain recognition for the same. “SymSpeak” is a blogging contest wherein students write on any topic related to management and the best articles get published in the college magazine “Symbeat”. It is also the official quizmaster of SIBM Bengaluru wherein regular quizzes and debates like “Big Fight” are organized to keep students abreast with the current happenings. “Symposio” is the flagship event of Students Research Committee which invites students for a national level paper presentation conference. The research committee provides a platform to the students of SIBM Bengaluru to come forth and enhance their knowledge. The committee’s agenda is to motivate students to write research papers and provide them with the necessary assistance in getting them published/presented in a conference. “Orion” is an annual research journal of SIBM Bengaluru, which helps students gain a good grasp on the core subjects and build their resumes. As future managers, it is this clarity that will give the students an edge over others and gain a place for themselves in the corporate world.